This document will help you copy an existing site onto a new server. HQMS must be installed on the target server. 1. 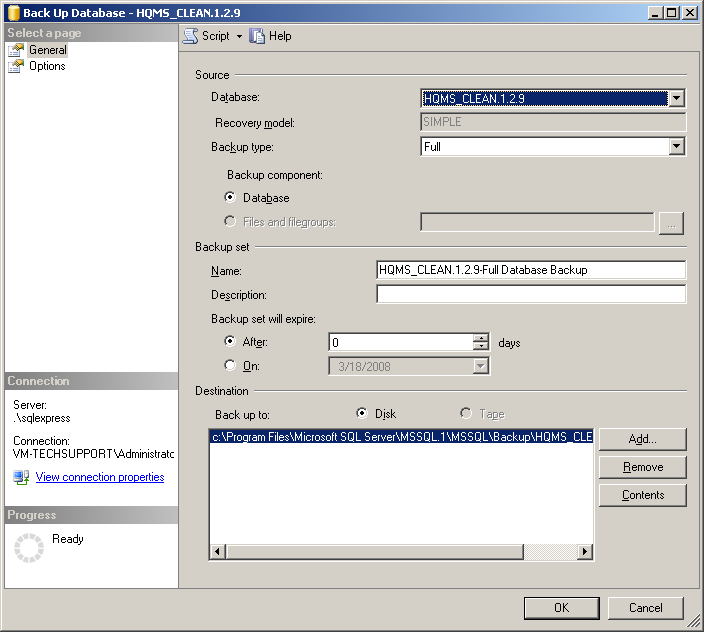 Force a backup of the database of the site you are copying. 2. 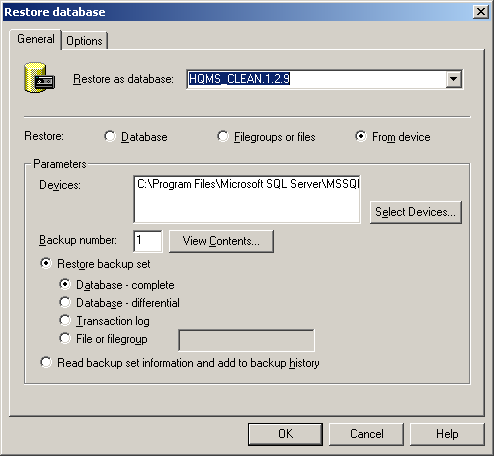 Copy the database backup (.BAK file) to the SQL server that your training database is hosted on and restore the backup over the training database. Note: Restoring a database with a different name than the one you are restoring to will require additional configuration in the Options tab. Please see your SQL Server help guide if you are unsure how to do this. 3. Copy HQMS folder containing website files from C:\Inetpub\wwwroot\ (The folder may not be located here, check IIS to find the root of your website) and paste it onto the other server. 5. 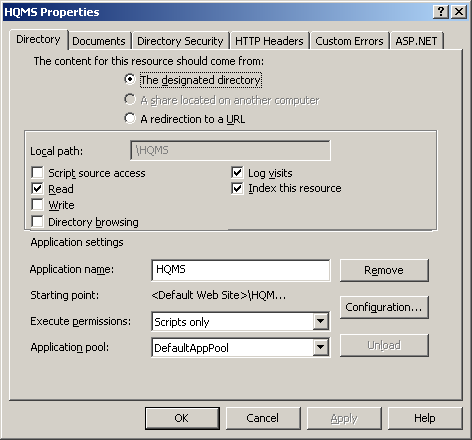 Open IIS and make sure HQMS is configured as an Application. 6. 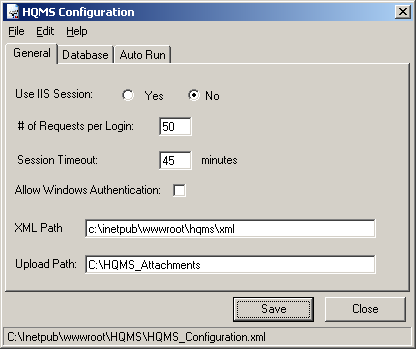 Open the HQMS Configuration Application on the copied site’s server and open the HQMS_Configuration.xml file in the website. Correct any changes to the XML Path and Upload Path. 7. Update database connection information. 8. Correct the Server URL and click Save. 9. If you need to copy over attachments, locate you attachments folder (i.e. C:\HQMS_Attachments) and copy it to the other server. Once the site is copied over review the HQMS Installation Guide to ensure everything is configured coreectly.